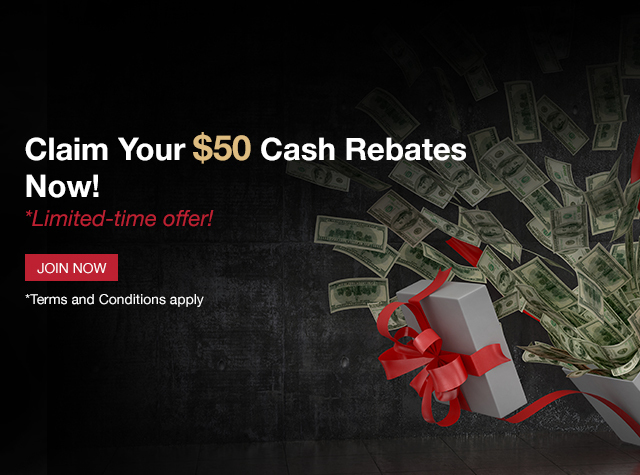 This “50 USD Cash Rebates” (“Promotion”) is only open to client with no previous trading and deposits/withdrawals, and has existing relationship with “Anzo Capital Limited” (“Anzo Cap”), restricted to their 1st MT4 account per customer regardless of account type. Clients are eligible to claim for 50 USD credit upon a one-time deposit with a minimum of 500 USD for ECN Account or 200 USD for STP Account. To claim the reward under credit, the Client must send an email containing Client’s MT4 account number and the corresponding Back Office ID to [email protected] before the start of trading. Clients who send in email to claim for credit reward after trading has begun will not be eligible. c. 5 standard lots round turn for STP/ECN Account of trading volume must be done within 30 calendar days from the date when the one-time deposit is made. To convert the 50 USD reward under to cash balance, the Client must send an email containing Client’s MT4 account number and the corresponding Back Office ID to [email protected]. This Credit Bonus may take about 2 working days to be converted to your MT4 trading account.